Redeem 15% OFF stay at Fernloft Branch in Singapore and Melaka. 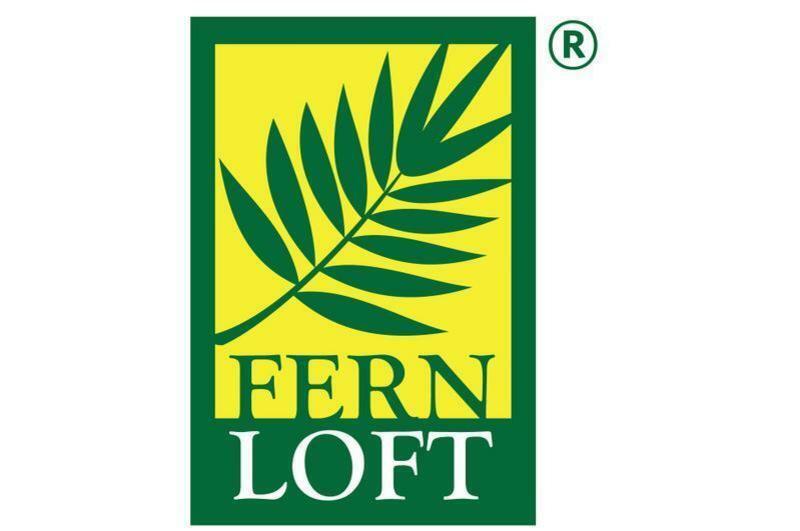 Fernloft (Malaysia) Kuala Lumpur, Chinatown is located in the most popular attraction site of Kuala Lumpur. You will be soaked in the kaleidoscopic landscape and traditional atmosphere of the bustling Chinatown. At our doorstep is the Central market, subway and bus stations offering great convenience and value. We cannot find a better location than here! We are located right in the heart of the bustling Chinatown, offers endless entertainment, eateries and shopping options. Governed by our mission statement, we are proud to bring you the Fernloft Experience in Kuala Lumper, Malaysia! Our commitment is to provide a friendship and ensure you have a clean, comfortable, convenient, safe and the best-valued stay in Malaysia. We aim to be the best valued hostel provider. Our rates start from RM 20 or just US$6 a night for a comfortable dorm bed! All our rooms and dorms are air-conditioned and each bed comes with personal security locker, power points and lights. Other amenities include; modern toilets with hot/cold shower, guest lounge with TV, roof-top beer garden. Our guests also enjoy free services like use of internet, unlimited WIFI access, continental breakfast, tour desk and a travel resource centre. Your safety is our paramount concern. Our premise is monitored by 24hrs CCTV and all floors are access controlled by security access system. Our front desk is also opened from 9am-5am to ensure you get the assistance. We cannot find another more exciting place than the heart of this historic Chinatown. The kaleidoscopic of the bustling streets, maintained much of its traditional atmosphere. One will be constantly entertained by the street shopping, night market, exotic eateries, local temples and cultural traditions. The endless excitement just overwhelms this traditional neighborhood with its sights, sounds, and energy. It is no wonder that Chinatown (also known as Petaling Street) is voted the most popular tourists attractions in KL! 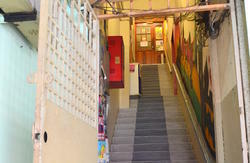 Located just a stone thrown away is the historic Central Market and Kasturi Walk. The art-deco structure of the Central Market is a centre for the display and development of Malaysian culture, arts and crafts. There are many performances, demonstrations, and activities offered here, including batik painting, fortune telling, shadow puppet plays, glass blowing, dance classes, art classes, and many others. The newly opened Kasturi Walk is also located next to Fernloft. The street is filled with shopping carts, offering local music, crafts, and cultural practices from Kelantan to Sarawak, and endless options to savour local delights. For those seeking modern shopping, the Bukit Bintang Walk and Twin Towers / KLCC are minutes away by train rides. Other nearby attractions include, the Lake Garden, nature parks, Merdeka Square, National Museum and the KL Tower. Our strategic location will surely provides you minimum travelling time and money! Fernloft is also surrounded by modern amenities. One will find modern services like; 24hrs banking, licensed money changers, clinics, 24hrs convenient stores, international fast food chains, photo shops, bars and restaurants, travel agents, bookshops and public transport system, are within walking distances. Kuala Lumpur is integrated by the mass rail transit. The Pasar Seni LRT station is just 3 minutes walk from our hostel. With the convenience of the LRT, you are able to connect to almost any part of KL at affordable prices. You may also opt for the taxi services or the public Hop-On-Hop-Off (Bus Stop No 9) that ply along our doorstep! So only if you are seeking a thrilling exciting experience at affordable budget, check us out at Fernloft (Malaysia, Kuala Lumper) @ Chinatown. Best of all, for those planning to visit Singapore, do check with us on the inter-cities transfers promotions. Such convenience and value - only @ Fernloft Hostels, where strangers become friends and experiences become cherished memories. Whatever we may say, don't take our word for it, experience it yourself! By Bus: Take Star Shuttle (Operates from 0545hrs to 0200hrs – Departure every 30 minutes - RM 12.00 per person/way – Travel time estimated 1hour 15minutes) to Puduraya bus terminal. 650m walk to Fernloft. Please visit www.starwira.com for any advance ticket booking. By Train : From the LCCT airport, you can take a shuttle bus to KL Sentral (about 1 1/2 hrs and cost RM8.00). At KL Sentral take the Putra Line train to Pasar Seni (next station only and cost RM 1.00). 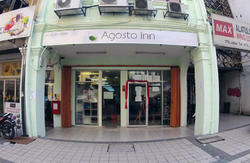 Fernloft is located opposite the road from Pasir Seni Station or the GEO Hotel. By Bus: Take Star Shuttle (Operates 0600hrs to 0215hrs – Departs every 30 minutes - RM 12.00 per person/way – Travel time estimated 1hour 15minutes) to Puduraya bus terminal.650m walk to FERNLOFT. Please visit www.starwira.com for any advance ticket booking. By Train: - Take KLIA Aerotrain also called KLIA Ekspres (operates from 5am - 1am, 15mins departure, RM35/person, travel time 29mins) to KL Sentral. Then take Rapid KL LRT from KL Sentral (KJ15 station) to Pasar Seni (KL14 Station). The train operates 6am- 11pm, approximately every 5mins, RM1.00/person, travel time 2 mins. Alight at Pasar Seni LRT. We are located opposite the station or GEO Hotel. Most coaches & buses service from Singapore and other Malaysia states will be alighted at this newly opened terminal, Take a Rapid KL LRT from Bandar Tasik Selatan station to Plaza Rakyat station(Attached with Puduraya terminal)-(operates from 0600hrs to 2300hrs - approximately every 10 minutes – RM 1.70 per person/way – estimated travel time 20 minutes. 650m walk to FERNLOFT. Take a 10 minutes walk (650 metre walk) to Fernloft!from Hentian Puduraya bus terminal towards Jalan Cheong Lock. You will pass by Hotel Ancasa on your left. At the 4th turn you need to turn to your left at Jalan Hang Kasturi. We directly opposite GEO Hotel.